Neshaminy State Park is located along the Delaware River in lower Bucks County. The park takes its name from Neshaminy Creek, which joins the Delaware at this point. The park measures 339 acres, and the picnic areas and swimming pools are its most popular attractions. 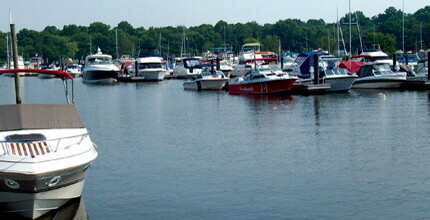 Boating access to the Delaware River is provided at the marina.